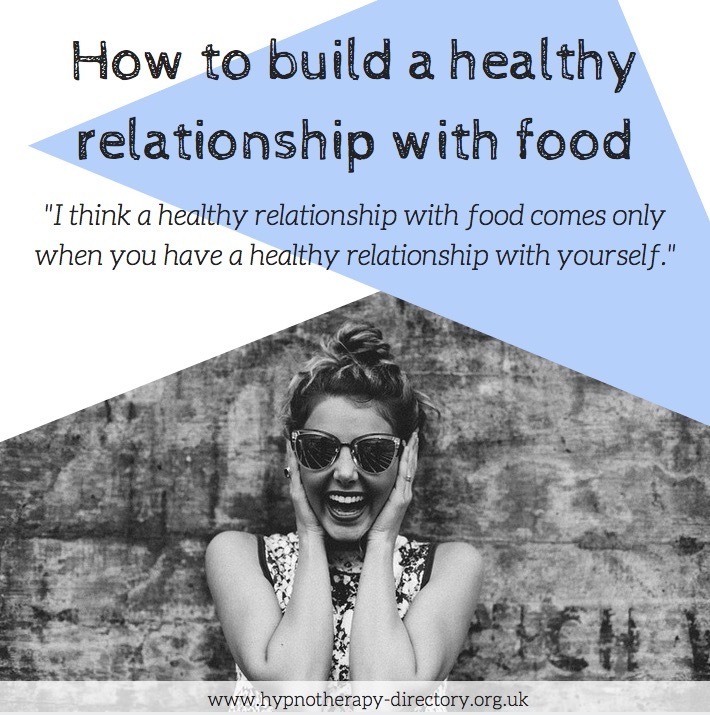 We look at the ways you can build a healthy relationship with food, and yourself. With the rise of social media and the growing popularity of ‘clean eating’, it can be difficult to know what to believe when it comes to nutritional advice. Everywhere you look, there is a news article, a tweet or a Facebook post focusing on ‘the latest diet secret’. But how healthy is this trend? While the growing interest in health and well-being is incredibly positive, there is a lot of information and mixed opinions. Not everything we read has been scientifically proven, yet we still believe it to be true, especially if a celebrity has endorsed the claim. Every single one of us are unique, and so our diets and lifestyles need to be tailored to us individually. In order to be healthy and well, we need to build a healthy relationship with ourselves, as well as with food. 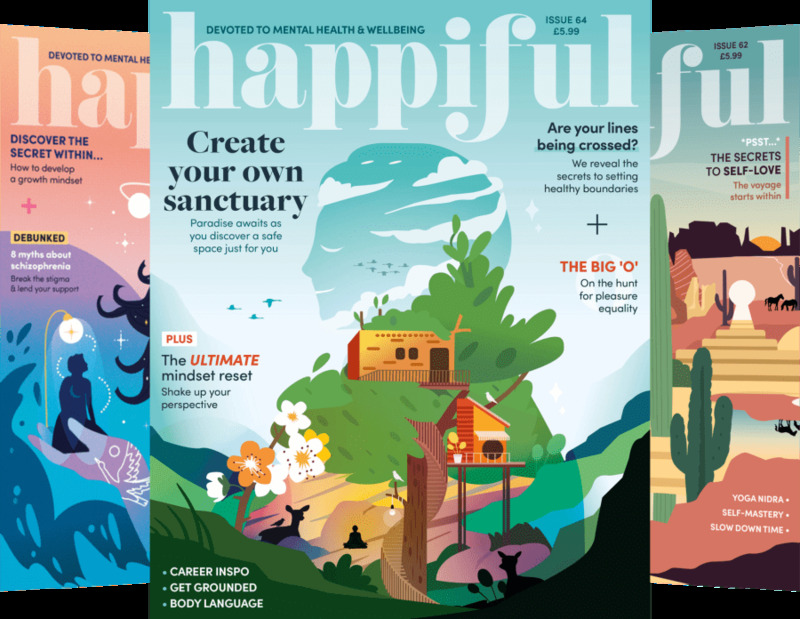 Below, we explore the steps we take to boost self-confidence, develop self-love and trust our bodies. Hypnotherapy Directory blogger, Ellen shares her story. “I haven’t always had a healthy relationship with food and my body. As I have grown older, I have learnt that health comes with happiness and following the latest diet trend does not always make you feel good. Only recently have I started regularly going to the gym and eating well, but no longer do I do this to ‘reach a goal’ and ‘become the perfect shape’, I do it for me. Since going to university and reaching my twenties, I have realised that we are all different shapes and one diet definitely does not fit all. Eating nutritious, balanced meals make me feel great, but I also allow myself to have chocolate, a glass of wine and enjoy myself. Social media is a great tool to find new recipes and inspiration, but it can be harmful. Stop comparing yourself to others and instead take it as a boost of motivation – if they can do it, so can you and who knows, maybe they look at your profile thinking the same thing! Listen to your body and recognise what it needs. Sometimes we think we’re hungry when we’re actually bored, thirsty or we are sticking to habit. Believe in yourself and use your initiative, are you really hungry or are you just eating because your co-worker is? Be happy and recognise how amazing your body is. This can be difficult, but it really does help build your confidence and improve self-love. Learn to appreciate what your mind and body can do by writing down everything you are proud of. Instead of thinking of what you have failed in, take it as an opportunity to grow. Just because you ate a slice of chocolate cake does not make you weak, it makes you human. Remember that health and happiness is a lifestyle. Now, we know self-love and self-confidence isn’t the easiest thing to reach, but starting to recognise what you can do is a great first step. If you keep looking in the mirror, picking apart your appearance only to then go and comfort eat, is this really the best way to spend your evening? How does this make you feel? Focus instead on what an incredible person you are. Sometimes you need a helping hand when taking these first steps. Not everyone is able to do it alone. Hypnotherapy can help you change your negative thoughts and behaviours, so that you can focus on the path ahead. If you would like to learn more about hypnotherapy and how you can start your journey, you can visit our hypnotherapy areas and not sure where to start pages. Ellen is the Content Manager for Memiah and writer for Hypnotherapy Directory and Happiful magazine.